Many observers outside China—including those just visiting and impressed with all they do see in the Beijing-Shanghai corridor while remaining uninformed about the Great Remaining China that they don’t--like to talk about the major forces of modernization that mold this nation. They’re not completely wrong, of course. But many miss that China is shaped locally, often seasonally, by events outside the window—that is, that the China they see from their seats isn’t what residents in China experience when they look at that same transport racing by them. A case in point is what’s been happening in Nanjing in the past few weeks where the railroads are concerned. 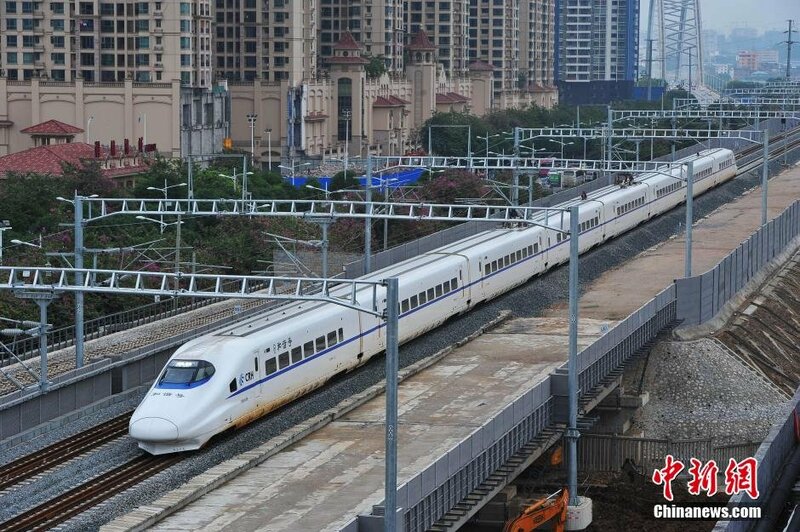 In more than one sense, China’s railway system is a class system. Not just its seating based on price, but the division between high-speed [高铁] rail and the remaining express trains that can run travel as far, but at a slower pace and for lower prices. The latter route is how many migrant workers travel--passengers who are closed out of the high-speed train option and flying from one city to another. For most long-time residents of Nanjing, the transformation in train ticketing and travel options is nothing short of astonishing. 20 years ago, residents and visitors would camp outside stations overnight and often longer to try to get seats on a train. They’d often end up disappointed, discovering that many tickets had already been distributed to officials, state work-units, local military personnel—or sold to middlemen who would scalp them to customers who had played by the public rules but were foiled by the hidden ones. Almost nothing of the sort happens now. Residents here in Nanjing, as everywhere else in China, mostly reserve tickets online using apps on their cellphones, or queue up at ticket windows beneath large tote boards telling them the number of seats actually available for that day and the next 5. The service at those windows can get a bit surly as shifts are approaching an end, for it’s something of a thankless job for those trying to cope with customers. But apart from holidays, finding train transport in and out of Nanjing is no longer the heroic, often martyr-like mission it had been for most people. This is now a rail system that works—and works very well—for nearly everyone. Seeing and hearing these trains is nostalgic for many in Nanjing, even if some local car owners bemoan the irregular closing of crossings that lead to traffic buildups in a city that already sees enough of them. They offer a glimpse at a past that’s speeding away, as well as a fairly reliable route for those fortunate enough to score seats or sleepers on these trains. But one problem is that these types of trains are slowly being decommissioned across China. It’s true that, at various places in Nanjing and in adjoining counties and townships, local residents continue to hear the strains of trains racing through their area in the late evening and very early morning hours. But that’s because an increasing amount of rail equipment has been converted to use as freight transport to move goods bought online—which is largely good for the economy, local and otherwise. The mothballing and diversion of slower trains for the movement of goods instead of people means that many migrant workers, laborers, and contractors looking for work across provinces have to take a long-distance bus—a less certain and sometimes more dangerous transport. Their train—the one they had been relying on to contribute to China’s economy—has left the station, or at least, it’s not stopping for them. What’s made matters even more challenging this year is the massive flooding in south China—flooding that hasn't reached Nanjing and may not, but which has nonetheless disrupted rail traffic on the main north-south line shown above. The non-high speed trains continue to run, but not nearly as regularly as a few weeks ago, because many trains are being shunted into waiting yards. Delivery times of goods are being delayed; laborers find themselves stranded in places where work has been halted; and soon, with the school year winding down, students will have a tougher time making their way back home. 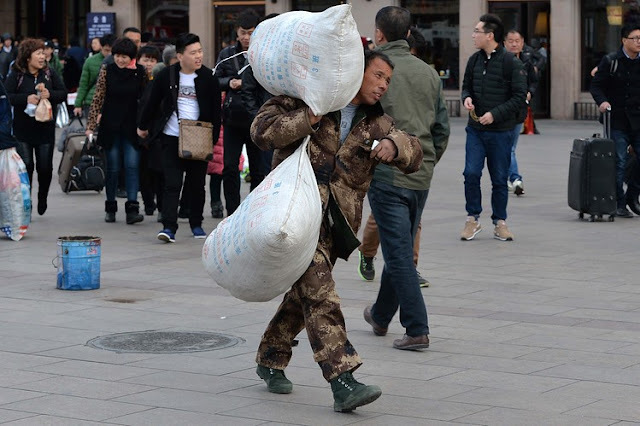 The transport disparities that China’s type of modernization has generated--very good for many, not as beneficial for others--look to be even starker this season. The national dynamics that help drive China impress many passing through, and they should. But these forces vary by place, and officials and residents living here—or just trying to get through--will be focused in the days ahead about how their local lives will be affected by the local elsewhere.